We had been talking about going back to the UK in a few weeks and the food we had missed, unsurprisingly fish and chips was on the list! Once the idea of fish and chips is in your head nothing else will do so I checked the opening times for The Chippy during Ramadan as we had been there before and been pretty impressed. Luckily it is open throughout Ramadan from 10am for collection and delivery and after 6.30pm to dine in. We rung up an…d ordered to collect and they were ready for when we arrived. The food was piping hot and delicious, like ‘ proper’ fish and chips. The chips were chunky and crispy on the outside, soft on the inside the fish batter was light and not too greasy. 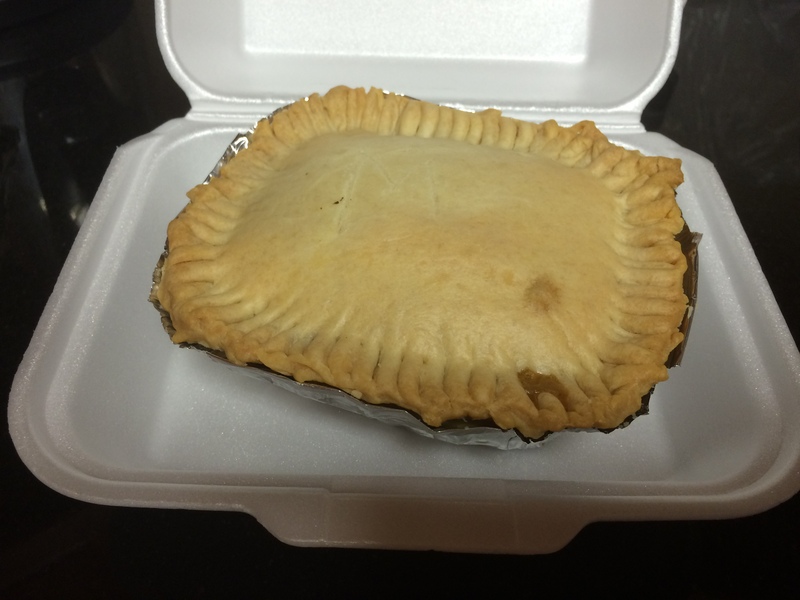 The pie had a lovely pastry and a creamy chicken and mushroom filling. 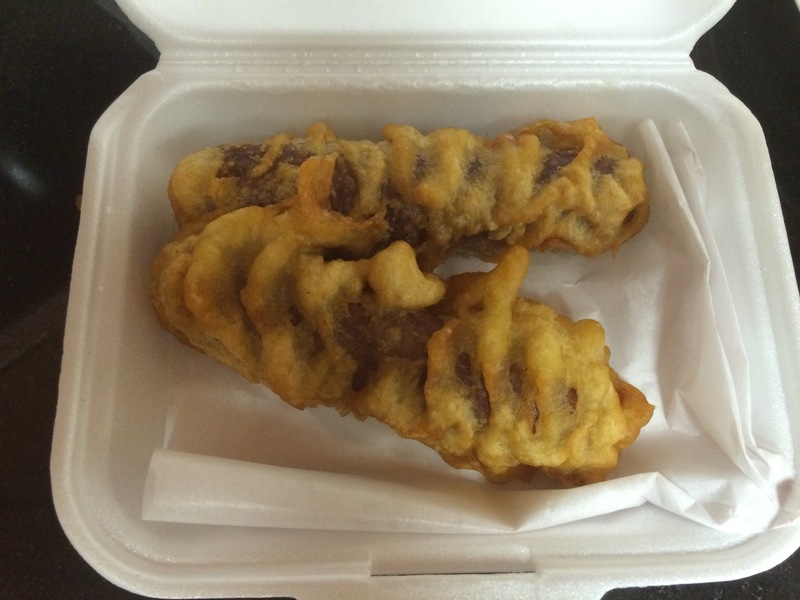 The battered sausage was a proper beef sausage rather than a hot dog sausage and it was so good! I’d really recommend The Chippy, it’s good food at a good price and you can use an entertainer voucher. 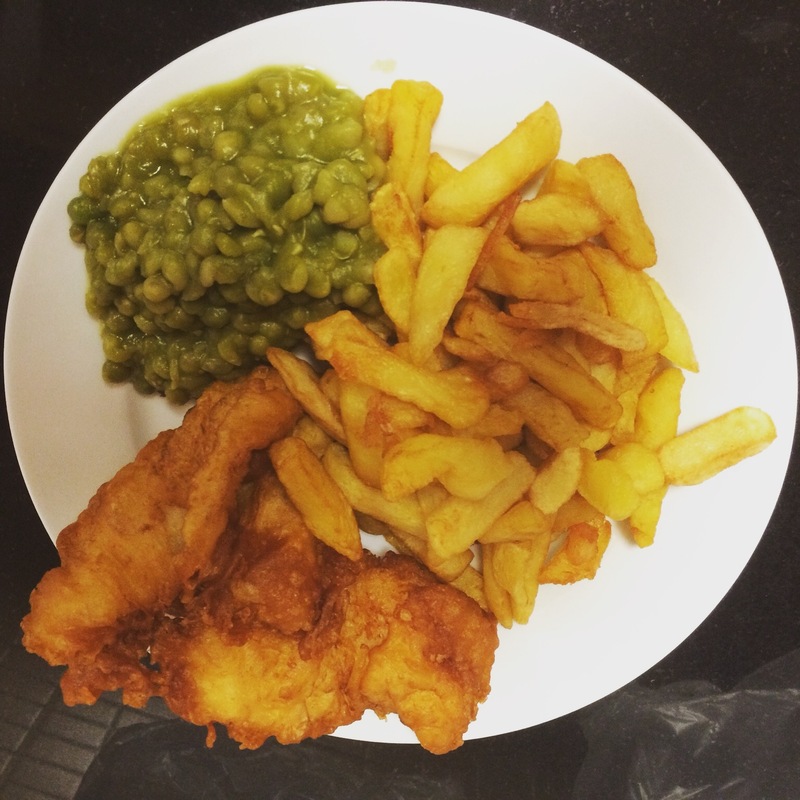 Next time we will having fish and chips we’ll probably be in Redcar in the wind and rain!